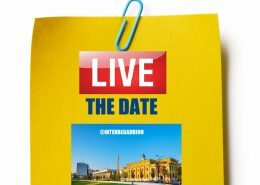 A transnational launch event in Tirana (Albania) – presentation of the 2nd call for proposals – on 11 April 2018. 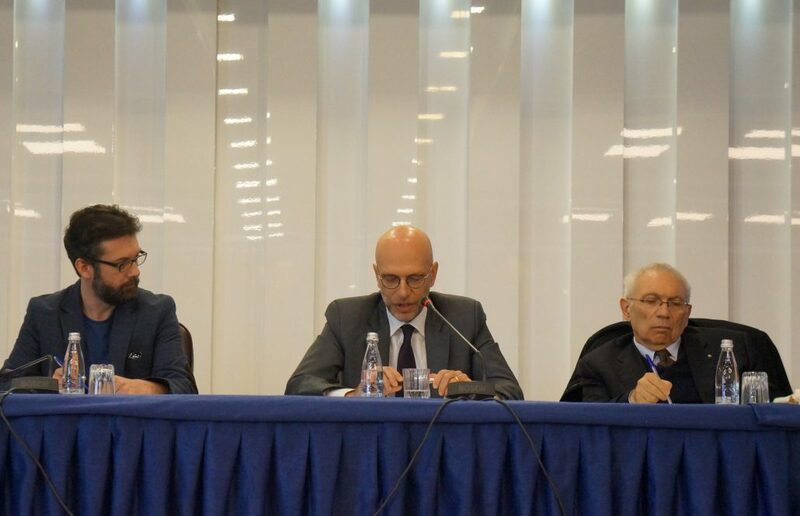 The launch event of ADRION second call for proposals addressed to the support of natural and cultural heritage took place in Tirana on 11 April 2018. Overall, more than 200 people attended the event and additional 150 followed it via streaming. The Albanian Deputy Minister of Tourism and Environment – Mr Hajrulla Çeku welcomed that all ADRION topics subject of the second call for proposals match with the Albanian strategy on tourism development; he considered the safeguard of natural and cultural heritage as a cohesion factor contributing to make the Balkan region more competitive. The Italian Ambassador in Albania – Mr Alberto Cutillo stressed the potential of the area characterized by a consolidated background for building further cooperation opportunities and partnerships. The Emilia-Romagna Regional Minister for Coordination of European Policies for Growth, Education, Vocational training, University, Research and Labour – Mr Patrizio Bianchi provided a short overview on the current discussion on the future of Cohesion policy after 2020. He observed that sustainability is currently a fashionable topic, but it must be interlinked with cultural, social, environmental and tourism topics. ADRION project proposals must take into account all of them and be capable to create bridges and linkages with other partners and geographical areas. According to him, it is not by chance that the EU Strategy for the Adriatic and Ionian Region – EUSAIR – includes in its vision both blue growth and connectivity. He called all potential applicants shifting from a volume to a value approach, from quantity to quality. Mrs. Jolanda Trebicka – representative of the Albanian network Municipalities for Europe highlighted the relevance of ADRION programme for municipalities as a capacity-building tool and encouraged their participation. Ms Luisa Anghelakis of the EU Delegation representative in Albania stressed the relevance of the Adriatic and Ionian area, providing an overview on its potentials, weaknesses, strengths and opportunities. She underlined its strategic importance as cross road of Europe with the Mediterranean and Asia. She considered ADRION as a relevant programme to address unbalances and to promote social prosperity in the region. Mr Nicola Favia of the Italian Department of Cohesion policy and current Chair of EUSAIR stressed how the macroregion is a valuable tool to cooperate in the Adriatic Ionian area characterized by several disparities and different cultures. Currently EUSAIR embeds topics where the involved Partner States share common view of development: for the future, he called for the need to enlarge this shared view by including other topics like research and development, territorial development and resilience, migration and digital agenda. He also announced that the third EUSAIR Forum would take place in Catania in May 2018 with a focus on connectivity and financial development. 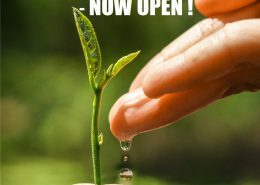 He finally warned potential applicants on challenges in submitting good project proposals dealing with the promotion of sustainable natural and cultural heritage due to the absence of a shared view on how cooperation should look like. 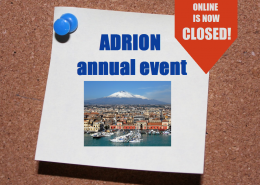 ADRION Managing Authority – Mr Francesco R. Frieri briefly presented the main features of the second call for proposals. We were also live streaming the event!